The inaugural ceremony of CBME India 2019 took place in the presence of special invitees - Ms. Rekha Chaudhari, Global Wellness Ambassador of India and Managing Director, One Line Wellness Pvt. Ltd.; Mr. Rajesh Vora, Managing Director, Chicco; Mr. Yogesh Mudras, Managing Director, UBM India Pvt. Ltd. and Mr. Abhijit Mukherjee, Group Director UBM India Pvt. Ltd. amidst an industry gathering. The three-day expo is witnessing an enthusiastic participation from over 130 national and international exhibitors from 10 exhibiting countries such as China, Korea, Hong Kong, Australia, Canada, Germany, Japan, Singapore, Russia and Taiwan to name a few. Most significantly, the event is well supported by key associations such as All India Association of Industries (AIAI); Indian Imports Chamber of Commerce and Industry (IICCI); Franchising Association of India and Licensing Industry Merchandisers' Association (LIMA). CBME India will witness a Korea Pavilion by Korea Federation of Clothing Merchant Federation and a Hong Kong Children Babies Maternity Industries Association (HKCBMIA) Pavilion. Some of the key exhibitors include Artsana India Pvt Ltd - Chicco, Nobel Hygiene Pvt Ltd, Mitsui & Co. India Pvt. Ltd. - Merries, PUR Thailand, Tiny Twig Apparel Pty Ltd., Softsens Consumer Products Private Limited, NOVATEX GmbH, First Care India Private Limited - BuddsBuddy, Azafran Innovacion Ltd., American Hygienics Corporation, Mother and Babycare Inc. - Little Angel, Indify Ventures - OK Baby & BEABA, Maiden Distributors amongst others, who are showcase trending and innovative products catering to this niche industry. Speaking at the inauguration of the 7th edition of CBME India, Mr. Yogesh Mudras, Managing Director, UBM India, said, "The childcare and maternity products market once considered as very niche is set for a big boom. With an increase in disposable income of parents, a change in their consumer habits, increased media exposure, awareness amongst women, online shopping and a renewed focus on child safety and well-being, this high potential industry which has a projected growth rate of over 17% (CAGR) till 2020 is now ready for a major growth spurt that will transform it into a thriving industry. We see the industry making a shift towards a more organised market from a then fragmented one. With structure come innovation and technology that has helped widen the market further." "Unique initiatives like CBME India play a very important part to provide information and education as well as the inspiration to raise the bar for the children and maternity market. While the baby care and children products are evolving, an even greater potential exists for the maternity products segment that needs to be unravelled," he added. 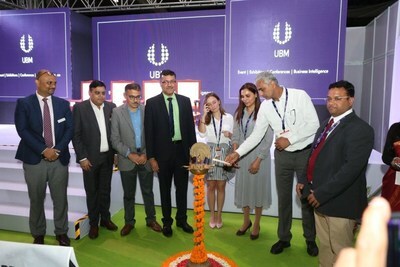 In its quest to deliver unique and innovative value propositions to exhibitors and visitors alike, this year, CBME India 2019 comprised a number of salient features including power-packed knowledge sessions, seminars, discussion of new trends and various international pavilions to surge into the rapidly expanding and diverse retail sector in India. Day 1 saw presentations and seminars by WGNS, the Trend Partner for CBME India 2019 that discussed Kids Fashion trends, Toy trends and Retail concept. Sessions by industry speakers included topics such as - 'Fast Fashion impact on the kids wear market' and 'How Brands are adopting Closed Loop Recycling to incorporate sustainability'. Day 2 will see a seminar on Licensing of Kids Brands - Trends and Thoughts Triggers for Future Growth and will host a panel discussion followed by a fashion show - Cool Kids Fashion India in association with UDAAN that will highlight premium kids fashion accessories and clothing (age 0-14 years) from both well-known and emerging designers, brands and manufacturers. The topic of discussion for the panel will be - 'Changing Consumer Behaviour - Trends and Opportunities'. The event will also witness the announcement of one-of-a-kind initiative by UBM India - 'IMP CBM Brands', a bi-annual program, which will be a nationwide quest for India's most preferred brands in the children, baby and maternity products industry, and conferring on them, the exclusive privilege to license the prestigious ÍMP logo for all their marketing engagements, such as online campaigns, hoardings, merchandising, press announcements, product packaging and advertising. CBME India will be organized by UBM which in June 2018 combined with Informa PLC to become a leading B2B information services group and the largest B2B Events organiser in the world. Please visit (http://www.cbmeindia.com ) for more information on CBME India and https://www.ubm.com/global-reach/ubm-asia for our presence in Asia. UBM Asia recently became part of Informa PLC, a leading B2B information services group and the largest B2B Events organiser in the world. 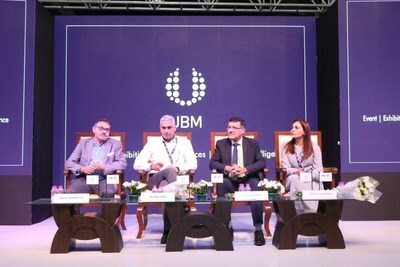 Please visit https://www.ubm.com/global-reach/ubmasia for more information about our presence in Asia.